I have read the book ‘Behind the cloud‘ by Marc Benioff, CEO of Salesforce and I liked it a lot. He describes in 111 plays how Salesforces grew from idea to billion dollar company. For me as the CEO of a company that offers a Saas solution it is interesting reading. Surprisingly the most interesting parts where not about Software as a Service, but about marketing. I just picked some parts I liked the most. The big dream of Marc is to create a Saas solution, not to built a CRM system. He wants to move software from to PC to the cloud. This gave him an opportunity to attract more interest in his ideas. 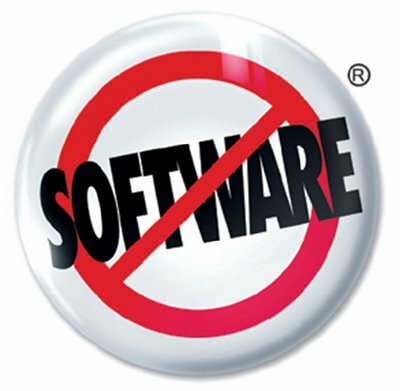 His ‘No Software’ campaign had a simple message that people could relate to (nobody likes to buy software, install it, configure it and maintain it). The message is in fact not correct, Salesforce.com is about software only delivered in a different way. But by opposing the mighty software industry he became the knight that battled with giants like Microsoft and Oracle. That is a story journalist like to write about. Way better than selling a sales app. It generated loads free publicity. From the very first start he positioned Salesforce.com as the opponent of Siebel (the market leader of CRM software at that time). They would party crash on Siebels conferences (organizing picket lines with no software demonstrators) and the moment Siebel did react they in fact recognized Salesforce as an serious opponent, giving them more credibility than they ever could have bought with advertisement. True guerrilla tactics. This reminded me of my days as CEO of Locatienet. We were an internet start up in 1998, we were the Dutch Google earth (a few years earlier). We had little money and in need for users. I remember two actions we did, they were great fun. The first one was when we launched our European route planner. We sent out 500 post cards to journalist. We bought 500 french post cards with the Eifeltower on it. I wrote, with the help of my family, every card by hand with a story that we visited Paris and found the way thanks to the new route planner of Locatienet. We wrote the cards as if we were old friends from the journalist. We sent an intern by train to Paris to post the cards, in order to get real French post stamps. The journalists were very confused and started writing about it, we made the national papers. It generated a lot of attention and it cost in total less then 1000 Guilders (450 Euro). Visitors numbers of our site rose. The second one was we we took over a website that had all the locations of speed controls. We created a letter that looked exactly like the one you would receive after speeding, announcing that you once again had to pay a huge fine. On the bottom we placed (in small letters) the url of our website. We sent it out again to a bunch of journalist. It worked great and it got a lot of press attention although some of the journalist called to police (generating even more attention). Back to the book. Another part I liked is how Salesforce engages its users. They try to make a fan and a sales person for Salesforce of every customer. Their marketing is for a big part organized around users that they bring in contact with prospects. Success of your customers is the best way to sell a solution. Your software has to be great and your customers successful in order to pull this of. I really recommend this book to you and not only if you are a CEO. I have to say that I found the first half more interesting than the second but it gives you a nice look behind the curtains of the cloud and that is a place we are going to spent more time in the future.